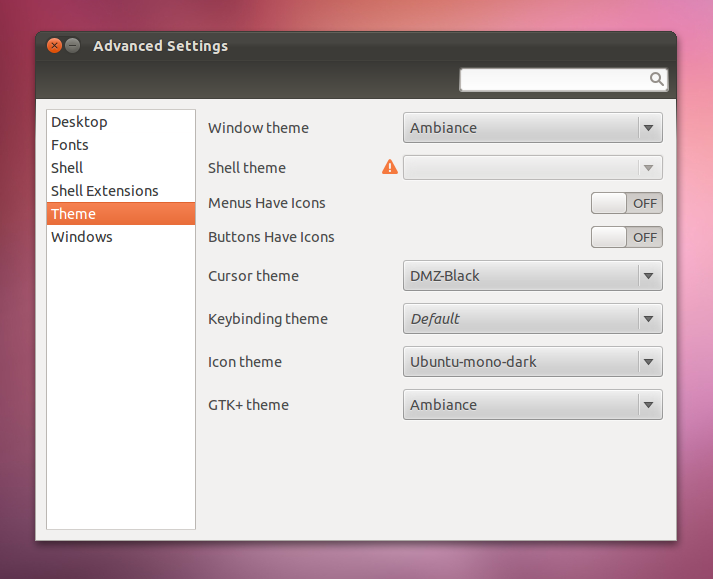 Ubuntu Oneiric comes with a very simple Appearance dialog which only lets you change the theme and the wallpaper, and that's it. No options to tweak the themes, for different sets of icons, pointers, font tweaking, etc. 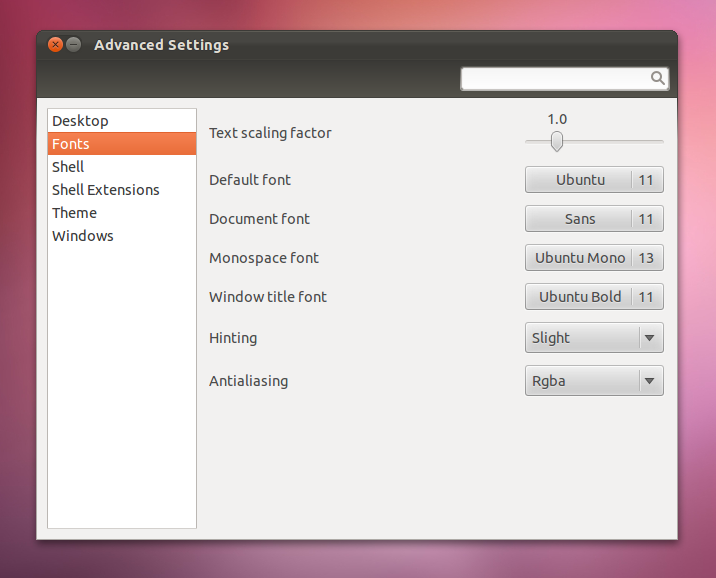 This is where Gnome Tweak Tool comes in handy. It lets you tweak all those things, and also provides some desktop and Nautilus options. Note: As a matter of dependency, the installation would pull in Gnome Shell, if you don't have it installed already. But that wouldn't hurt too much eventually, plus you could also check that out if you want. 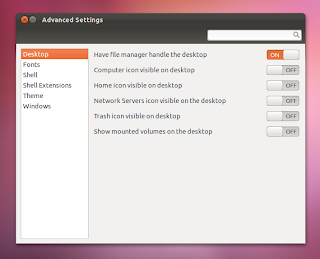 Once installed, search the Dash for 'Advanced Settings' and open it. 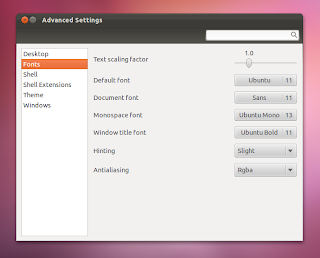 You can configure different things under 'Desktop', 'Fonts', 'Theme' and 'Windows' sub-sections; like the names suggest, for showing some desktop icons, setting custom fonts, tweaking parts of themes and window management. Feel free to play with these options, but try to remember what you've changed, in case you want to revert to the default settings. The 'Shell' and 'Shell Extensions' parts are for Gnome Shell only and won't work in Oneiric's Ubuntu sessions.